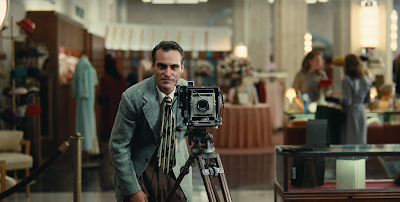 Paul Thomas Anderson’s The Master was the most nominated film for the 16th Annual Online Film Critics Society Awards nominations, earning a total of eight. The film was nominated for Best Picture, Best Director (Anderson), Best Actor (Joaquin Phoenix), Best Supporting Actor (Philip Seymour Hoffman), Best Supporting Actress (Amy Adams), Best Original Screenplay, Best Editing and Best Cinematography. Joining The Master in the Best Picture race Ben Affleck’s Argo, Leos Carax’s Holy Motors, Wes Anderson’s Moonrise Kingdom and Kathryn Bigelow’s Zero Dark Thirty. The five films nominated for Best Picture had corresponding Best Director nominations. Lincoln, Steven Spielberg’s historical account of the passage of the 13th Amendment to the U.S. Constitution, was the second most nominated film picking up six mentions including Best Actor (Daniel Day-Lewis), Best Supporting Actor (Tommy Lee Jones), Best Supporting Actress (Sally Field), Best Adapted Screenplay and Best Cinematography. Day-Lewis and Phoenix were nominated in Best Actor alongside John Hawkes in The Sessions, Denis Lavant in Holy Motors and Denzel Washington in Flight. The Best Actress nominees were Jessica Chastain in Zero Dark Thirty, Jennifer Lawrence in Silver Linings Playbook, Emmanuelle Riva in Amour, Quvenzhané Wallis in Beasts of the Southern Wild and Rachel Weisz in The Deep Blue Sea. Accompanying the Lincoln and The Master supporting players in Best Supporting Actor are Alan Arkin in Argo, Dwight Henry in Beasts of the Southern Wild and Christoph Waltz in Django Unchained; and in Best Supporting Actress, they are joined by Ann Dowd in Compliance, Anne Hathaway in Les Misérables and Helen Hunt in The Sessions. Founded in 1997, the Online Film Critics Society has been the key force in establishing and raising the standards for Internet-based film journalism. The OFCS membership consists of film reviewers, journalists and scholars based in the U.S., Canada, Europe, Latin America and the Asia/Pacific Rim region.